Number one to me is 100% self-explanatory in my books, If you’ve read one of my reviews on one of the season Natsume Yuujinchou then you would know I do love this Anime. Season 3, which is what Natsume Yuujinchou San is just a re-affirmation of that point. Anime that show and illustrate the struggles of raising a child, especially of one where you’re a single parent; is a type of story that I really do enjoy. 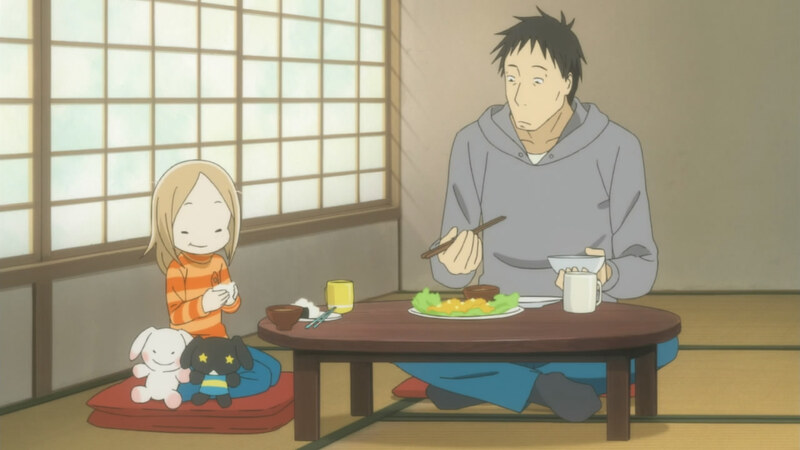 Usagi Drop is an Anime that does just that, it’s a story about raising a child, even if it isn’t your own. It does well to show the struggles but also the growing process, which is why it’s number 2. Lastly, for Summer 2011, the Anime I picked to hold the number 3 spot (on my list) is Mawaru Penguindrum. Yes, you heard it here first. Why is it number 3 on my list? Well, because it has Penguin in the title and I love penguins. But in all seriousness, the story I thought was really interesting as this Anime is labelled as a Mystery, I thought it did really well playing into that genre and is why it’s number THREE.